Kabal Talonpriest is a 3 Mana Cost Common Priest Minion card from the Mean Streets of Gadgetzan set! Inkmaster Solia had to figure out how to tattoo feathers. We are assisting to the birth of the new flamewreathed faceless. 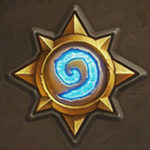 Since Blizzard doesnt know how to deal with classes and make all of them remotely viable, their only solution is to take the weakest class and give him absurdly OP cards so that class can have its 5 minutes of glory. GG Bliizard. No idea on how to balance your game? just start powercreeping the weakest class until is the new meta, rinse and repeat. Pathetic. Wrong. Classes get their good cards, classes get their bad cards. Do they focus on classes individually in expansions? Yes, you’re going on the right track. However, it isn’t a matter of a classes “Five Minutes of Glory” as opposed to supplying the classes with new material. It’s how the idea of an expansion works. Don’t be surprised. Probably OP… Get ready for the auto include. Dark Cultist was good value with +3 Health as Deathrattle… but to have it instantly? Bonkers. Its stupid to compare this card’s strength to the 6/6. This effect at 3 mana is leaps and bounds stronger than it on a 6/6. 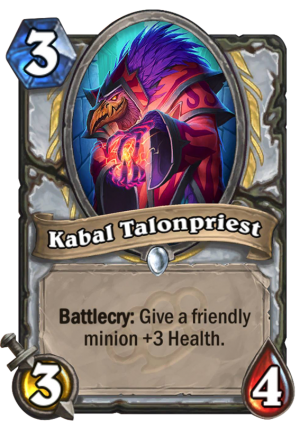 It is overpowered, but maybe priest needs it to bring it on par with the other classes. But sure I would like to see a good 2-drop for priest in this expansion as well.